Congratulations to all of the Team Triumphers who raced the Sprint, Olympic and Half Ironman Races. 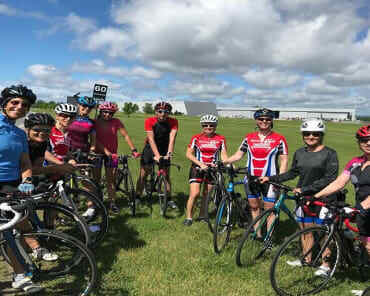 It was a joy to race with some of you and cheer on the rest of you. Thanks so much to everyone who cheered us on and our families who carted our stuff around and supported us at our races!! 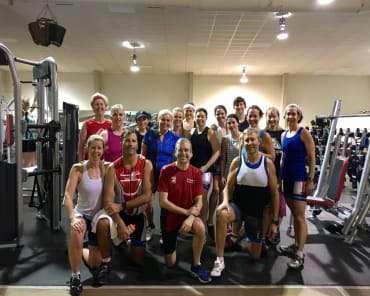 The weather could not have been better, the lake was a perfect temperature, the wind picked up on Sunday just after most had turned around on the bike, and the sprinkles of rain came when most were done running - and those running could use the cool off. We had one podium finish on the weekend which went to Debi Zaret who came in 1st in her age category in her 1st open water triathlon!! 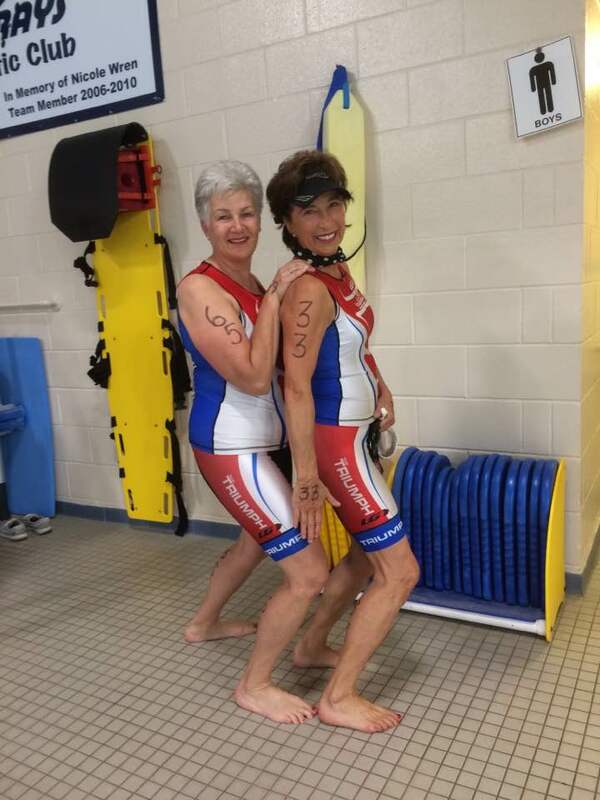 I loved what she had to say about her race: "When people ask me how I feel about my race, I explain that regardless of how I did, I am so lucky to have the ability to participate in triathlon and most importantly, be part of an amazing community (regardless of age), who are so supportive of each other!!" This community of friends is what being part of Team Triumph is all about. Thank you Debi for summing it up so eloquently! Linda Lafrance - 10th in AG after 2 flats! The past weekend was a busy one! Patricia is just coming back from a broken arm. She also won the Dickson-Wright Duathlon Award of $40 and a certificate for 1st place in the highest age group. And then to top that off, she received an awesome fleece throw with personalized embroidery as the overall 1st place female finisher from the 2017 Champions Challenge. Congrats Pat on a fantastic comeback from injury! Congrats to Brenda Ross, Team Triumph's Director of WOW!, for completing the Rose City Long Course Tri in Welland!! 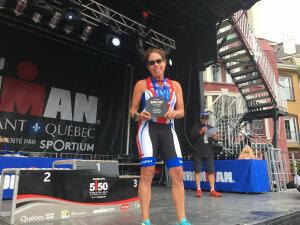 Congrats to Karen St Arnaud for completing the Tupper Lake Tinman - Half Ironman Triathlon! “Heat and Hills” defined the Syracuse 70.3! Temperature was a balmy 31 degrees before noon. The swim starts in the Jamesville Reservoir and was a rolling start. This definitely works well as you can place yourself with similar speed swimmers. Run up to bike transition and you're off with a good 20 km of climbing to get you warmed up! This is a beautiful bike course but challenging with deep rolling hills that make you dig deep to keep a good average speed. Much of the middle section is through farmland and is “perfumed” accordingly. The final descent is speedy (people clock upwards to 60 mph) and there is a 90 degree turn at the bottom. So they don’t allow aero bars and your speed can’t go over 25 mph ( they have timing strips set up). You are DQ'd if you do. This run course is hilly and challenging - add the heat and it is rather brutal! I hydrated well on the bike but felt the body slow down considerably and walked the hills to conserve energy. Finished on a strong note placing first in my age category! I recommend this race as a kickstart to your season!! Congrats Maggie on battling the heat and hills and coming in 1st place!! !